Jacob Robinson applies pressure on Coventry's Elliot Hardman. Sam Lewis is closed down by a huddle of Bears players. Bears 2s Wheelchair Basketball Team. 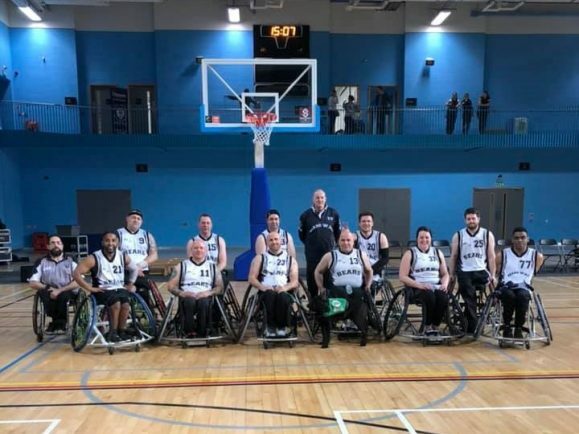 WARWICKSHIRE Bears Wheelchair Basketball Club returned to action at the weekend, albeit with a convincing 71-29 loss to CWBA in the Premier Division. 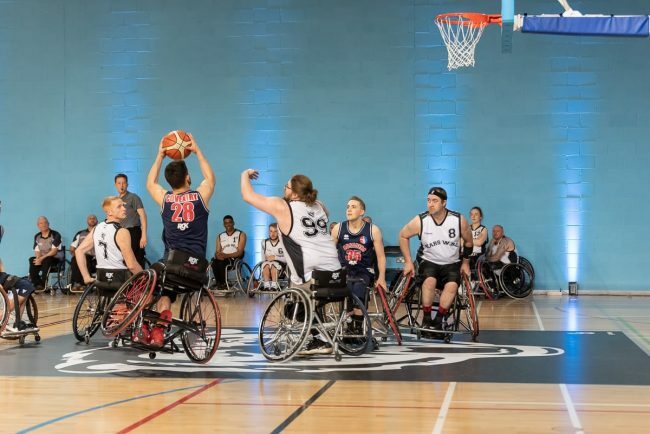 In a game that was live streamed by the BBC, and in front of a crowd of over 200, the Bears battled hard against the visitors from Coventry, but they found it a hurdle too far against a side brimming with Team GB talents. The visitors raced into the lead with some high-intensity basketball that simply stunned the Bears, so much so that they were limited to just the four points in the entirety of the half. Peter Cussack ran the show for Coventry, whilst Jake Robinson was successful with a number of long-range three pointers, helping accumulate a 35-4 lead at the break. The second-half produced a much better attacking showing from the Bears, despite Coventry being able to continue their expansive style of play. Daz Peasley enjoyed much more of the ball in the second-half, whilst Dan Gill also managed to chip in with a few points. But against a side that could call upon members of the Team GB women’s side and a number of fresh legs in the under-23s, it was always a losing battle for the Bears. Head coach Tom Masterson was open about the difference in quality of the two sides, but felt he could not be too dismayed after his side’s valiant efforts. “We were totally outclassed today but when you see the team we were up against, I can’t be too hard on my team. “As the rookie side, this season has been tough but we are working hard to learn from this experience and to strengthen as a team. 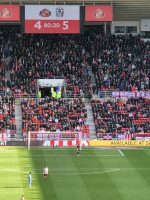 “Looking beyond the score, today was more than this game and I am so proud to have been able to showcase our brilliant club. Meanwhile in Division 2 South, Bears 2 enjoyed far greater success against Norwich Lowriders in a 56-20 win. They proceeded to dominate the court at the University of Birmingham Sport and Fitness club, edging the first-quarter 8-4 but beginning to find their rhythm in the second, leading 25-12 after some consistent sharp shooting. The Bears were devastating going forward in the third-quarter and wreaked havoc on the Lowriders’ basket, firing themselves into a 46-16 lead. 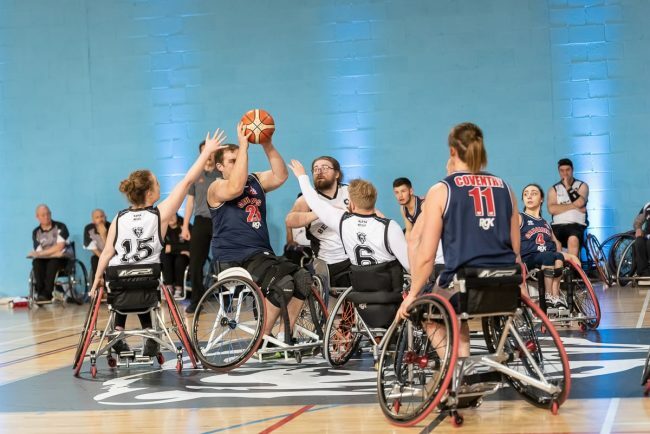 Whilst the final-quarter was not quite as intense, understandable with the game already won, the Bears played out to a comfortable win by the sound of the buzzer and managed to get some fresh faces rotated into the play. Bears 2 coach Peasley, who appeared in the thick of the action for the first-team after the game, was pleased by the performance after initially struggling to come out of the blocks. Bears’ first and second sides are next in action on Sunday, when both face the London Titans. The Bears are still looking for additional sponsors to help the club in their endeavors to provide sporting opportunities for local disabled people. If anyone is interested, please contact Bears at info@bearswbc.com, or call 07946518354. The Bears are always on the lookout for new recruits and volunteers for the club, interested players or volunteers are advised to contact Tom Masterson on 07946 518354.